By Iain Rankin, who now writes for Listentotaxman.com on matters relating to property tax and landlord tax. Iain is also a Landlord Tax Adviser at TaxKings Accountants. 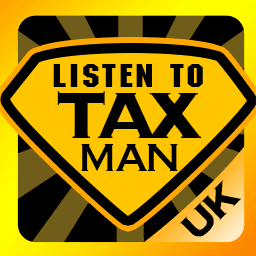 He is very happy to speak with Listentotaxman visitors to discuss any tax questions they might have – just visit TaxKings Accountants for more information. Many new or aspiring landlords will often read, with alarm, about a campaign or some form of crackdown by HMRC on buy-to-let landlords, accompanied by warnings that landlords could potentially face tax bills of “thousands of pounds” plus interest, surcharges and penalties. What is it though that HMRC are actually looking for? Here’s an overview of the main categories of mistakes. Simply, those landlords who are not declaring their rental income. To be clear, no matter what anyone tells you, this is tax evasion and to be avoided at all costs. HMRC have access to a lot of information to help them identify such landlords – from the Land Registry, who hold details of all property transactions, to letting agents, who can be forced by HMRC to divulge their client list via other avenues like landlord registers and housing benefit claims. Our advice: don’t even think about it. HMRC state that this is perhaps the most common error that landlords make. While many buy-to-let mortgages are interest only, most are not, as is usually the case if your mortgage is on a property that was previously your main residence. If your mortgage payments include any element of repayment of the capital borrowed then that part of the mortgage payment cannot ever be deducted from rental income profits. There will no doubt be yet more errors with 2017-18 tax returns as the new rules restricting the claiming of mortgage interest for higher rate taxpayers kick in – see our Landlord Tax Guidefor more on this. An oldie but probably the next biggest area of confusion for landlords. While you can absolutely deduct repairs as a cost against rental income, you cannot claim the cost of any improvements to the property. Of course, in many instances, the distinction will be obvious however professional advice ( taxkings.co.uk) should be sought prior to undertaking any work on a buy-to-let property that could be deemed to be an improvement. Simple enough to understand but still a common error. The initial cost of fitting out or furnishing a buy-to-let property is not deductible against rental income. You can however claim the cost of replacement furnishings. A common strategy among Buy-to-let landlords is to release equity from their properties – to make a new purchase or to improve existing properties - by remortgaging them. However the interest payable on the remortgage is not automatically allowable. Where the total amount of the mortgage is more than the market value of the property on the day it was first let, or where the amount raised by the remortgage is not used for the letting business, then the interest payable on the remortgage would not be allowable as a deduction against rental profit. These are merely a few examples of the most common errors made by buy-to-let landlords on their Self-Assessment tax returns and the areas that a tax inspector is most likely to scrutinise. Unless you have the time to keep up to date with the now annual changes in property tax law, you should always seek professional advice on what is and is not allowable as an expense against taxable profit. If you are in the first category - a “ghost” landlord - then it is absolutely in your own best interest to declare your rental income to HMRC. The amount of penalty you will be charged on the unpaid tax is significantly reduced compared to if you wait for the inevitable brown envelope from HMRC to catch up with you. HMRC also run schemes like the Let Property Campaign for previously undeclared landlords to get up to date with their tax affairs in a simple and straightforward way. This article was published in our Guides section on 20/05/2018.